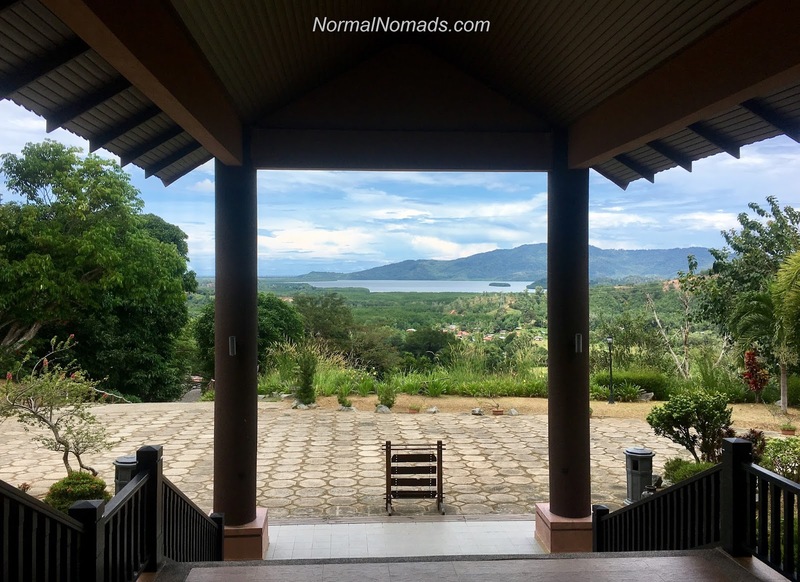 Traveling to Borneo is a fantasy for most people, and for us it was high on our list of places to visit. 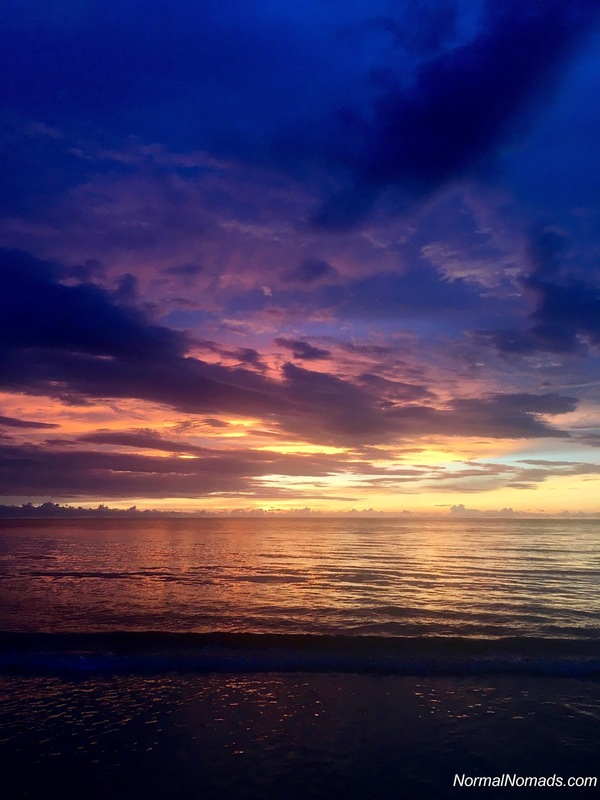 Borneo is an exotic tropical island where you can find dense and lively jungles, beautiful beaches, friendly and fascinating local cultures, world-class diving, and above all, endemic and endangered wildlife like orangutans, sun bears, and proboscis monkeys. 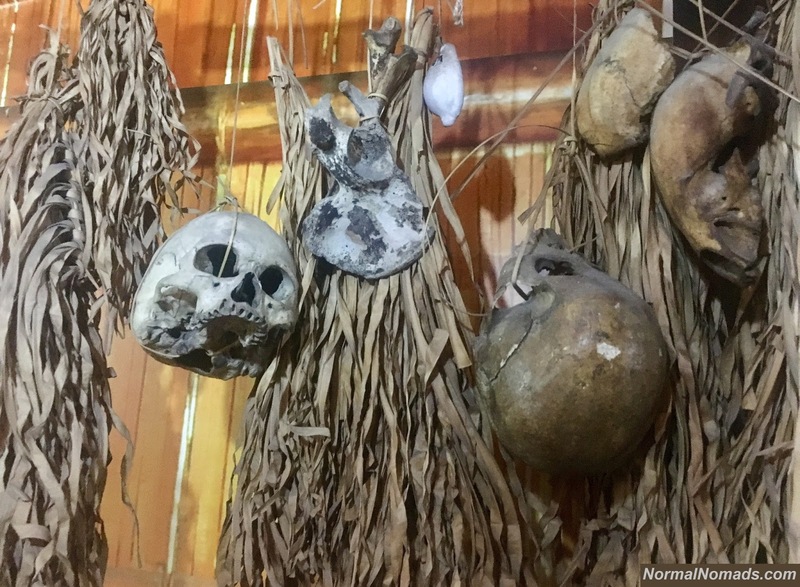 We thought Borneo budget travel would be impossible... Can you see and do all of these things on a tight budget? 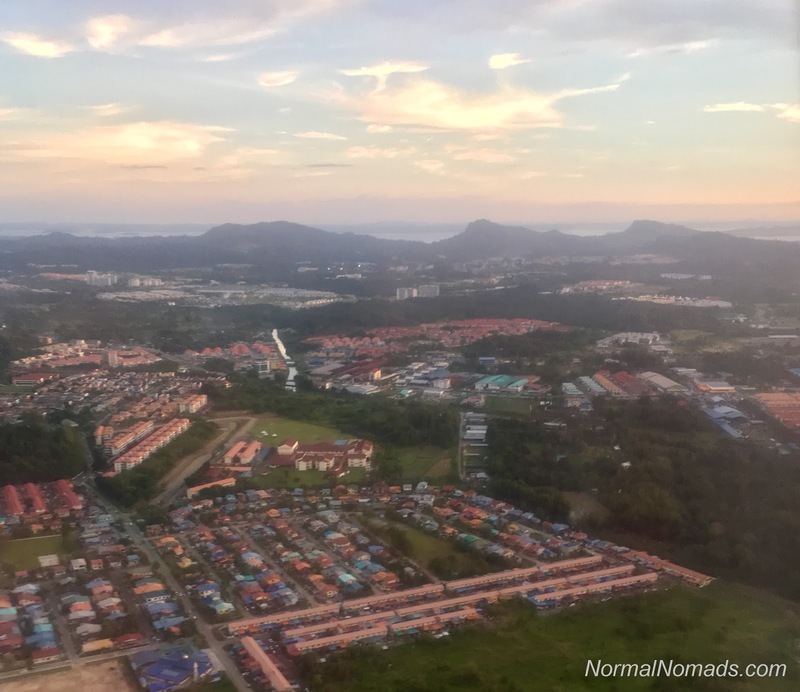 We did everything we wanted to do in Borneo during our 6-week trip to Kota Kinabalu, Sandakan, and Sukau. However, we did make some sacrifices and didn't do some of the "big" activities that people like to do. It was still beautiful and fascinating and we experienced the jungle and saw a wild orangutan! We stayed in Sabah, Malaysia the entire time, but heard great things about Sarawak (the other Malaysian state on the island of Borneo). Of the other countries in Borneo, we recommend that you avoid Brunei unless you are cool with Sharia law (slowly being implemented). 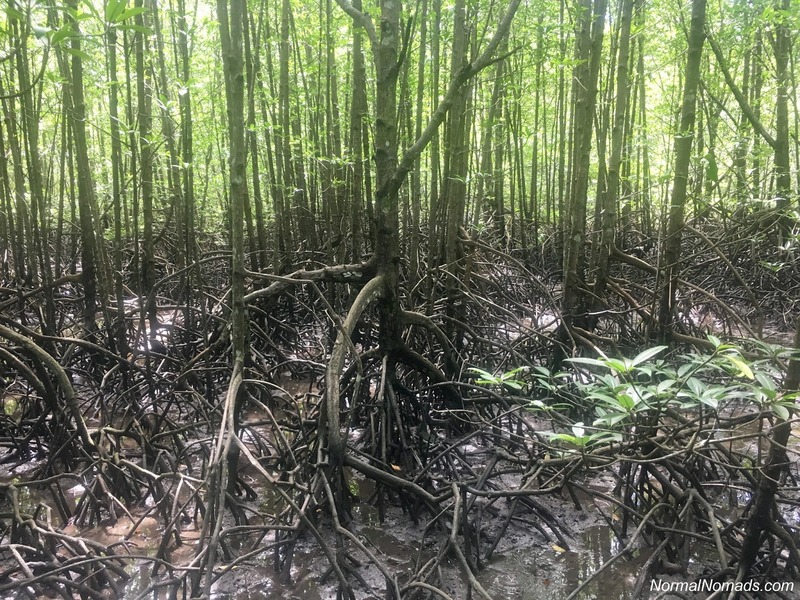 Depending on your passport, you may also want to avoid Kalimantan (Indonesia) if you are planning to stay longer than 30 days, since this will require a visa on arrival plus a visa extension. This is up to you, but we kept in simple and stayed in Sabah! Our Borneo daily budget goal was $50 for two people, so cheap accommodation was important. 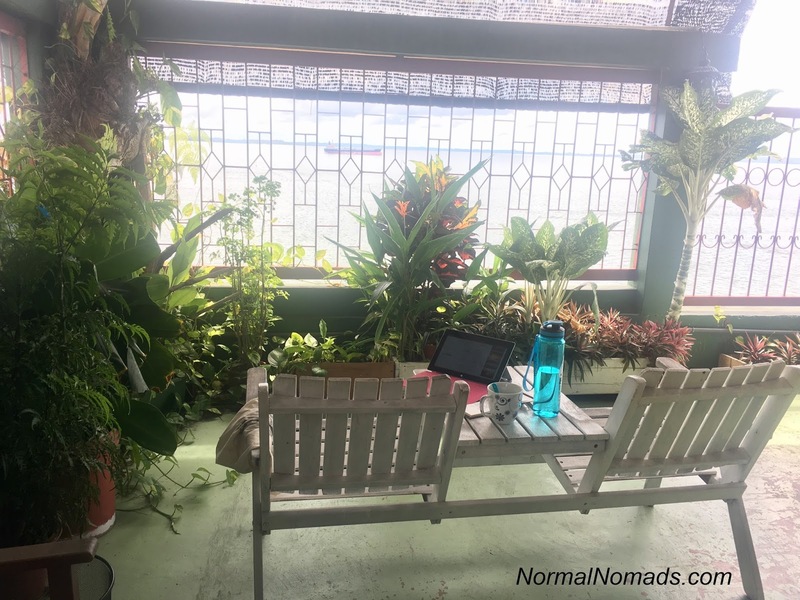 We stayed in two AirBnBs, one hostel, and one backpacker's BnB. 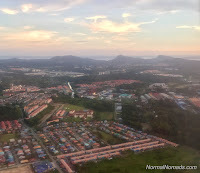 If your trip to Borneo is heading to Sabah state of Malaysia, you'll probably start in Kota Kinabalu. 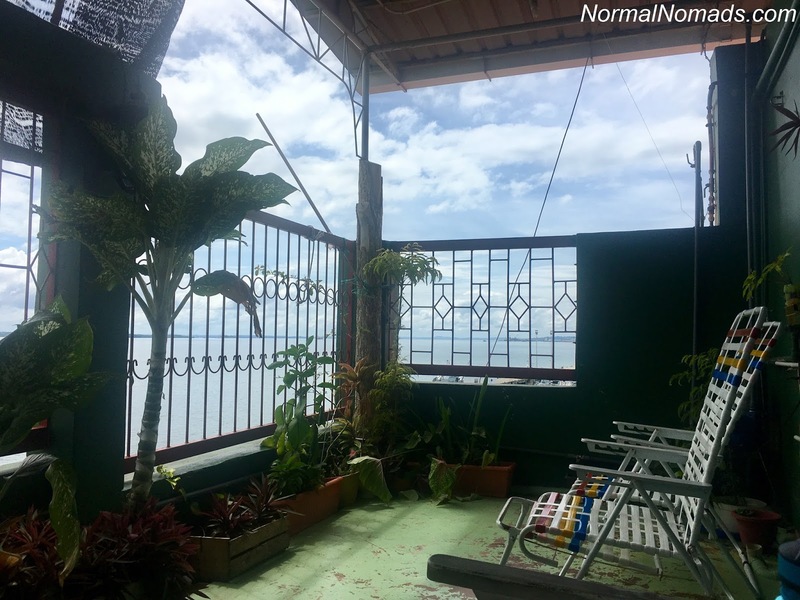 In this large home, you'll meet other AirBnB guests plus the Land Below the Wind dive team who live in the home. 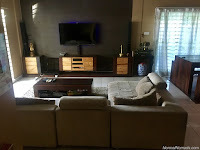 It's fun, comfortable, extremely nice, and you'll have a huge TV with movie channels. 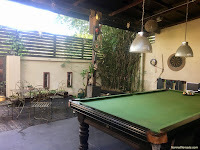 Wi-Fi in Borneo is slow, so the pool table, climbing well, and guitars will help to keep you entertained. There's also always someone to drink and hang out with! 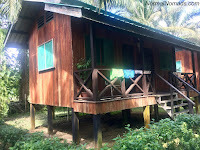 This was probably our favorite Borneo budget accommodation. This place is close to the airport, but a bit far out from the city. A quick Uber or Grab can bring you into downtown KK. 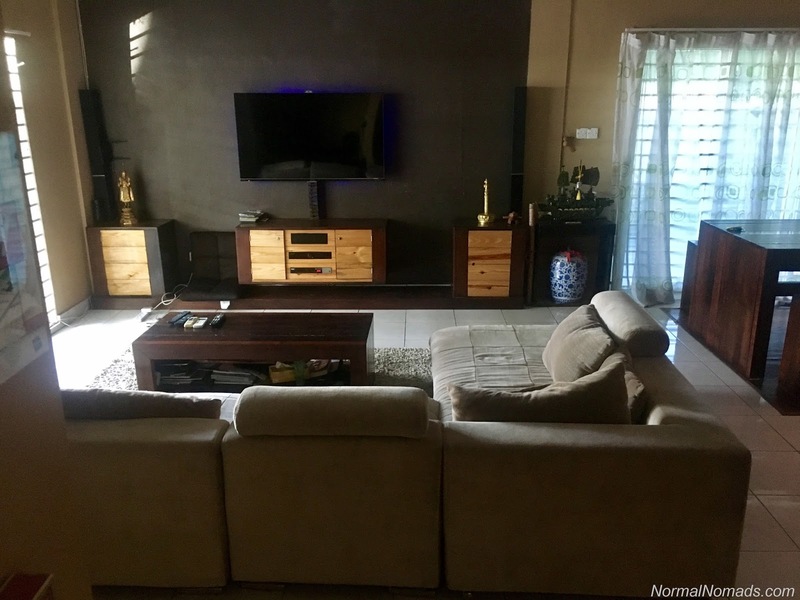 Kota Kinabalu: 2 bedroom private apartment AirBnB: not recommended due to inconvenient location. We simply didn't like this place very much. We shared it with 2 friends to save money, but due to its location, you had to hire a car to get anywhere. This made the cost savings negligible. 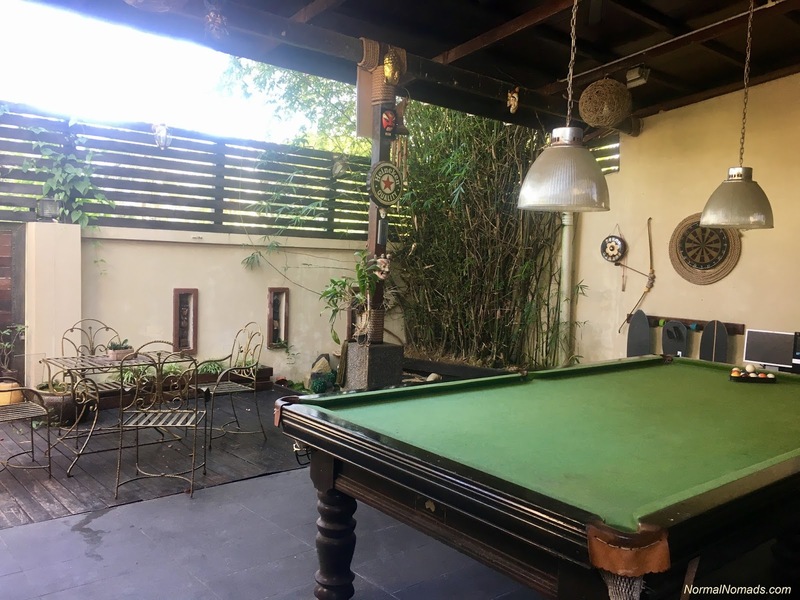 Sandakan Backpackers Hostel private room/shared bathroom: recommended for partiers, singles, couples, families. 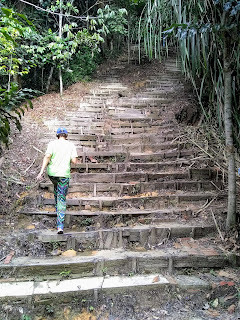 For jungle adventures in Borneo, head over to the east side of Sabah and check out Sandakan. Our only complaint is that Sandakan is so still and humid, that our laundry never really dried before getting stinky, even when we put it on the clothesline on the seaside roof! Sukau Backpackers B&B private room/bathroom: recommended for singles, couples, families. Cons: No mosquito netting (and so many mosquitos), A/C cost extra, laundry dried even less than Sandakan! Ah, Borneo jungle fun! 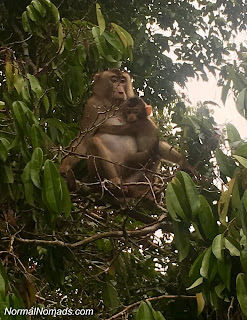 How else can you see wild proboscis monkeys and orangutan? Borneo budget tours, that's how! 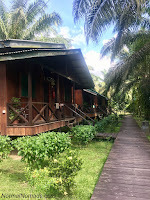 Checking out the Kinabatangan River was high on our list, so we booked a few nights with tours at the Sukau Backpackers. The price was 75myr per night ($18) but we haggled the total deal a little (barely) so I'll take the total savings off the nightly stay, and call it $16 per night. 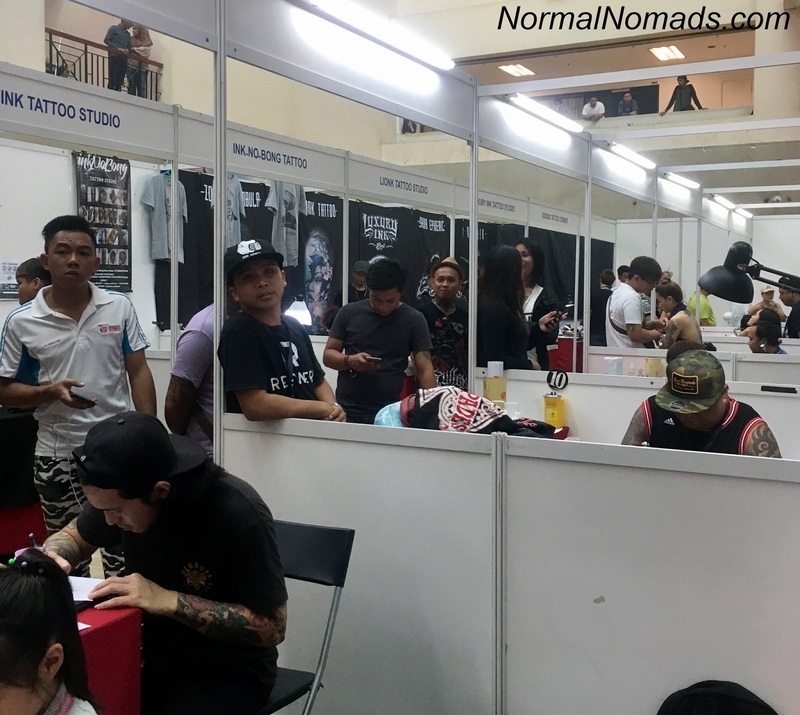 They offer lots of packages which include transportation, housing, food, and activities. We sort of made up a package for ourselves to relax the trip. The room wasn't great, but the overall experience was, and it was cheap! 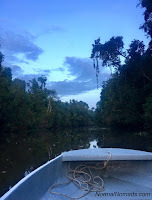 Check out more in my spotlight on the Kinabatangan river and below under "Activities". We also took Ubers/Grabs to airports and around town occasionally, which were generally between $2-6. Part of our Kinabatangan River tour included a private car round-trip from Sandakan to Sukau, and we took mini buses to/from Sandakan-Sepilok to visit animal sanctuaries. On to the fun part! 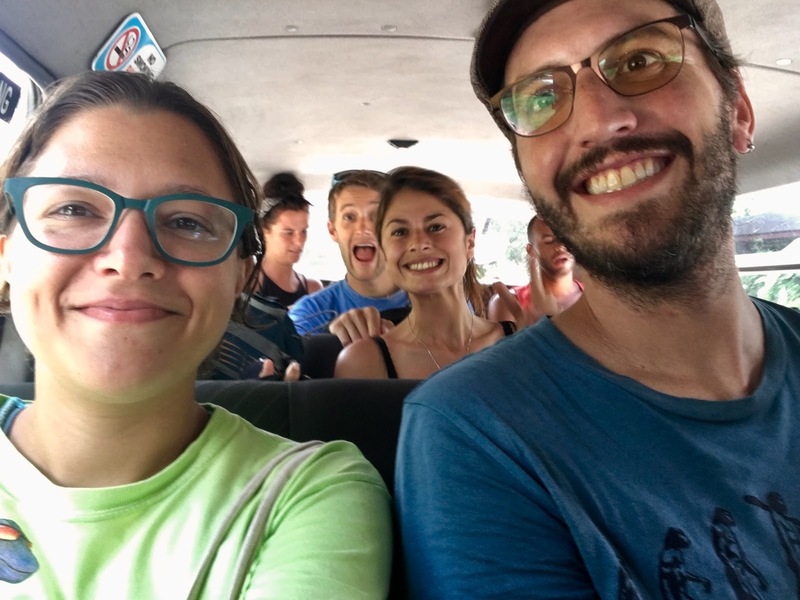 We saw Borneo wildlife; snorkeled in a marine park; experienced the jungle up close and personal; cruised down the Kinabatangan river; visited animal sanctuaries, museums and cultural areas; and even went to a tattoo convention! 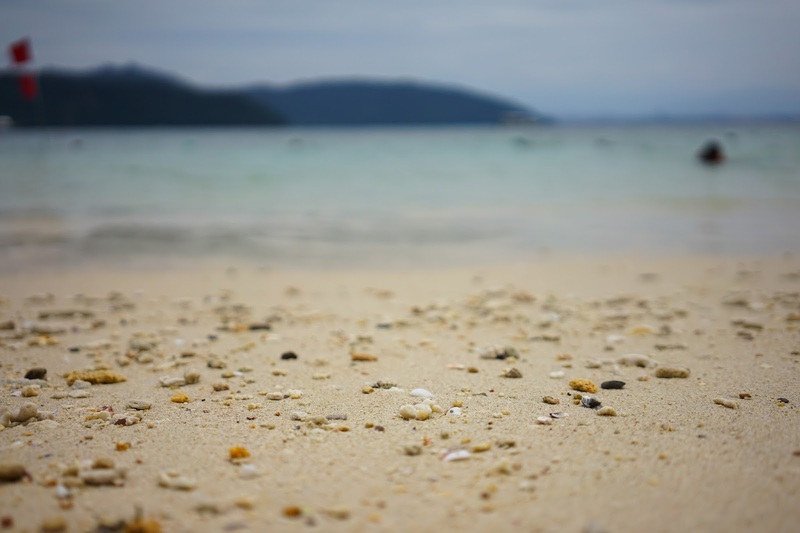 In Kota Kinabalu, don't miss out on a visit via speedboat to one or many islands of TARP, where you can snorkel, scuba, hike, eat, and drink for the day. The speedboat to two islands was 100myr for two people ($24) and we brought along our own goggles to view the many tropical fish while swimming offshore. 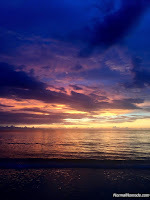 Kota Kinabalu also has the lovely Tanjung Aru beach where you can visit for free and watch the amazing KK sunset. Don't swim here though, it's too polluted. There are many more beaches to visit all around the island, but we had just been in Bali, so we weren't to bothered to miss them. Watch out for transportation costs getting to these spots! If you want to scuba, Borneo is great, but the price adds up quickly. We skipped this activity to save money. 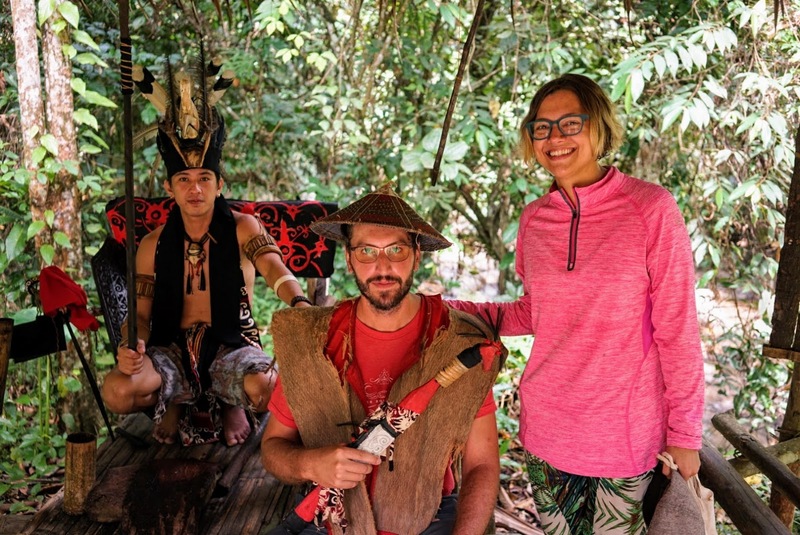 No trip to Borneo is complete without jungle adventures. Absolutely do not forget your Ultrathon insect repellant! 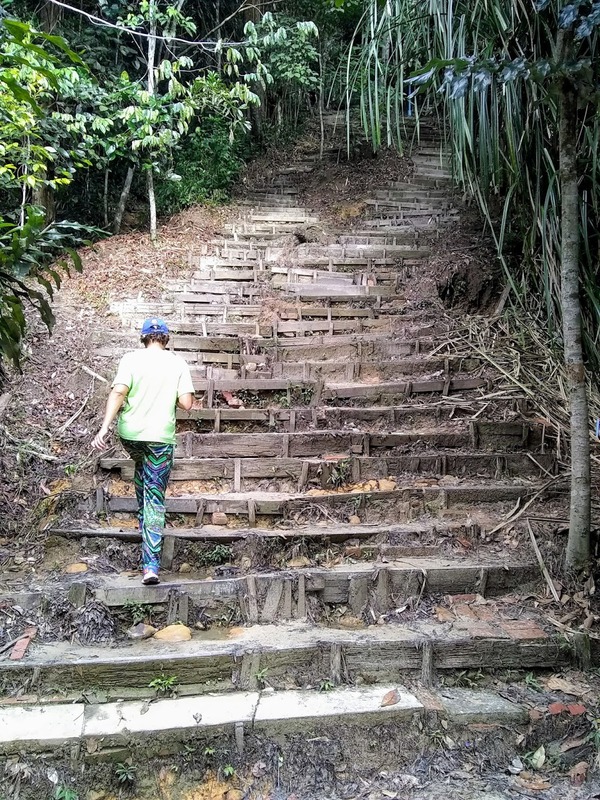 We hiked multiple parks, went on Kinabatangan River cruises, and took day and night walks into the dense and wild jungle. We loved the Orangutan Rehab Centre and Sun Bear Conservation Centre and highly recommend them. Entry to see Orangutans was 30myr per person and the Sun Bears was 31.80myr per person. Pricey, but they go to a very worthy cause! 123.60myr total for 2 people for both ($29.67). 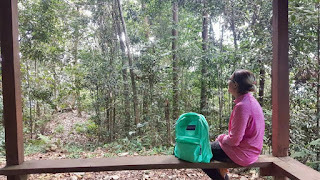 Jungle trekking at Crocker Range Park should have cost 10myr for non-Malaysians but because I was with a Malaysian friend, it was only 3myr a piece (so 6myr for both). Inside Kota Kinabalu, there's even a hill you can climb with all sorts of trails (Bukit Padang hiking trails). Felt very exotic, and it was totally free and very close to the city center! Another free and nearby hiking area, where you can get beautiful views and a workout, is Bukit Bongol Pirasan. 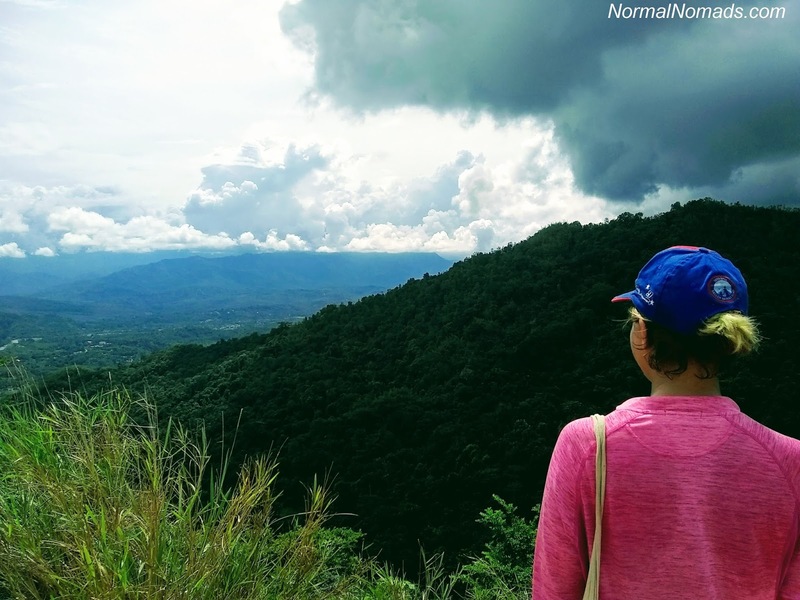 If you're lucky, you can catch a glimpse of Mount Kinabalu through the clouds! The people of Borneo are culturally very distinct and different then western Malaysia. 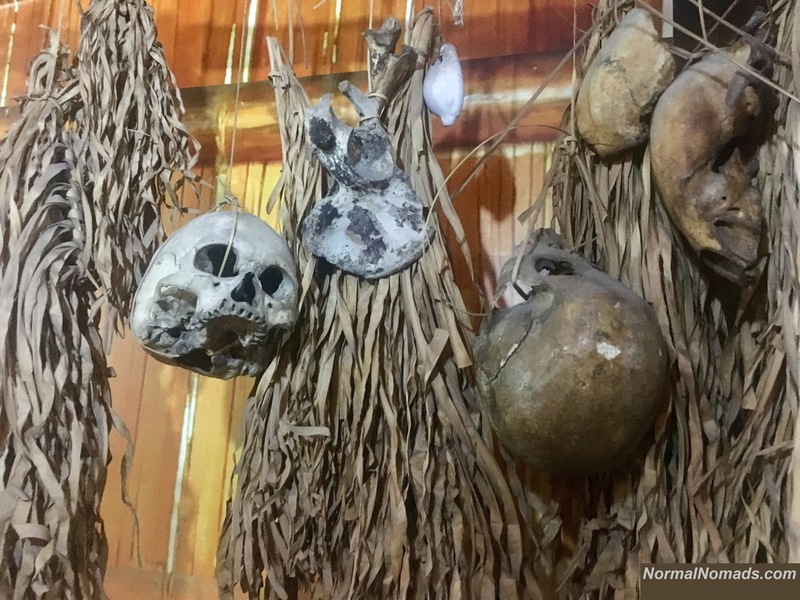 To understand some of the tribes of northern Borneo (including the famous head-hunters), head over to Kota Kinabalu's Sabah Museum. If you're Malaysian it's either cheap or free, but if you're a foreigner it's 15myr (about $3.60). I was there for about two hours; check out my spotlight on the museum for my highlights. 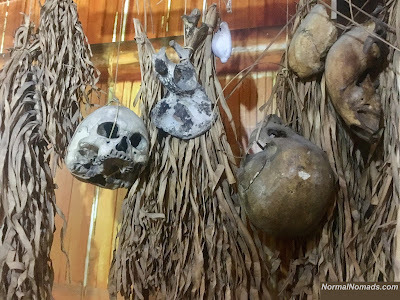 The Mari-Mari cultural village just outside Kota Kinabalu provides an interactive and informative look at what it is, and was, like to be a member of a local tribe in North Borneo. It is totally worth the 198myr ($49.50) for two people! 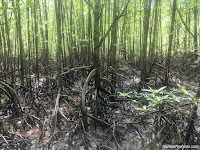 Everyone associates Borneo with jungles, so we were surprised to learn about the native wetlands at the Kota Kinabalu Wetland Centre, which costs foreigners 15myr per person to enter (around $3.75). We found it to be fascinating and peaceful and beautiful, and we visited twice. Check out my spotlight look for more details. 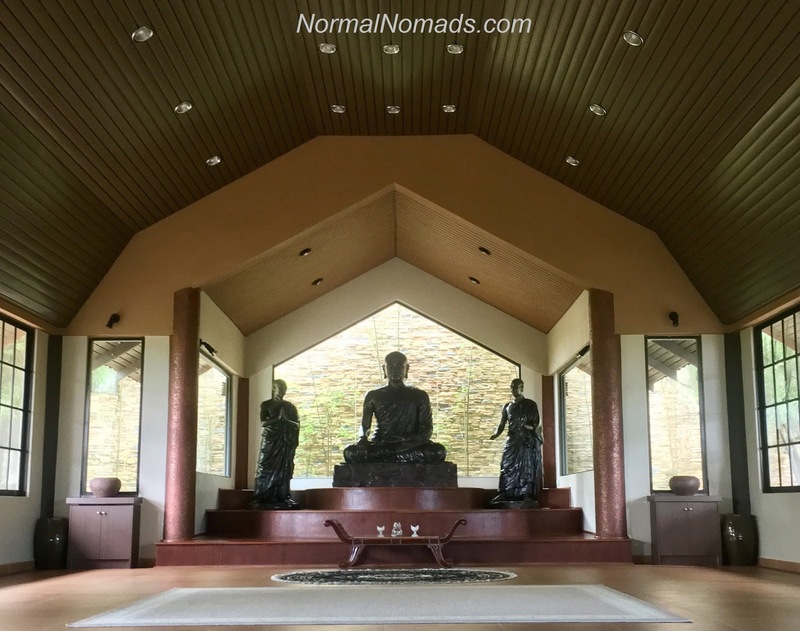 Near Kota Kinabalu, one of our Buddhist AirBnB hosts took us one day to the Santavana Forest Hermitage in Tuaran. 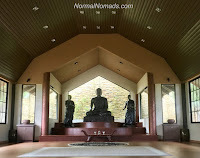 It is a lovely Buddhist temple near the city, with immaculate grounds and very friendly monks who live on-site. This was free to visit. 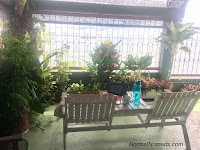 In Sandakan, for 15myr or $3.75 per person (it's 2myr for Malaysians) we visited the hilltop Agnes Keith House, which was super cool for me because I just read Land Below the Wind and really loved it. I very much highly recommend this book for your Borneo trip, and the house if you're into colonial history! 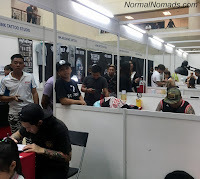 We even did some random things, like saw Thor in theaters and went to the Sabah Tattoo Convention. When you travel all the time, this sort of stuff is fun. Malaysian food in general is not our favorite (it's a bit bland) and this was true in Malaysian Borneo. Considering the fact that we ate out for most meals, drank lots of beer, and tried out many local liquors, it was very affordable. 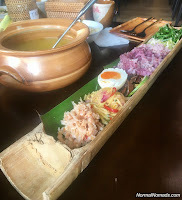 We did try some local cuisine that was not "Malaysian" in Kota Kinabalu -- Kadazandusun traditional foods at D'Place Kinabalu. Very different and absolutely worth a try! 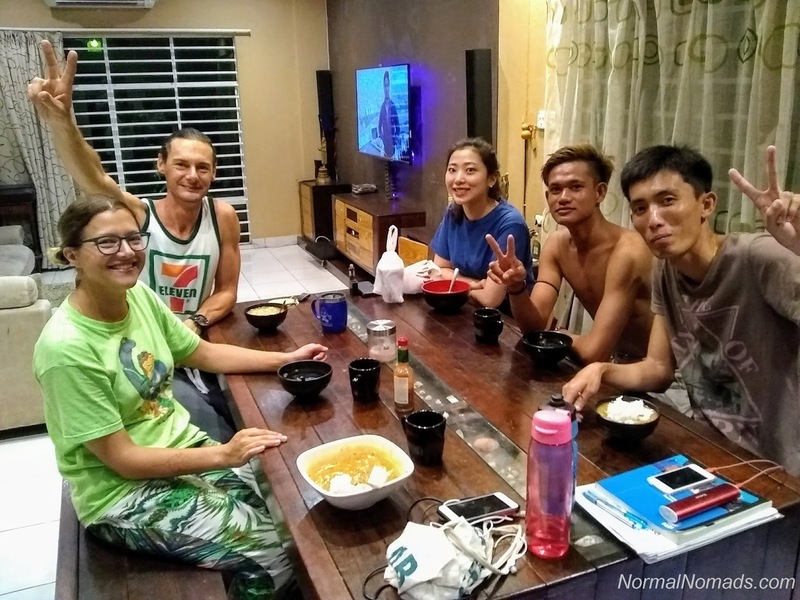 We had wild ginger and Borneo mango, salted fish, hinava (my favorite), fern (Warren's favorite), etc. Our verdict? 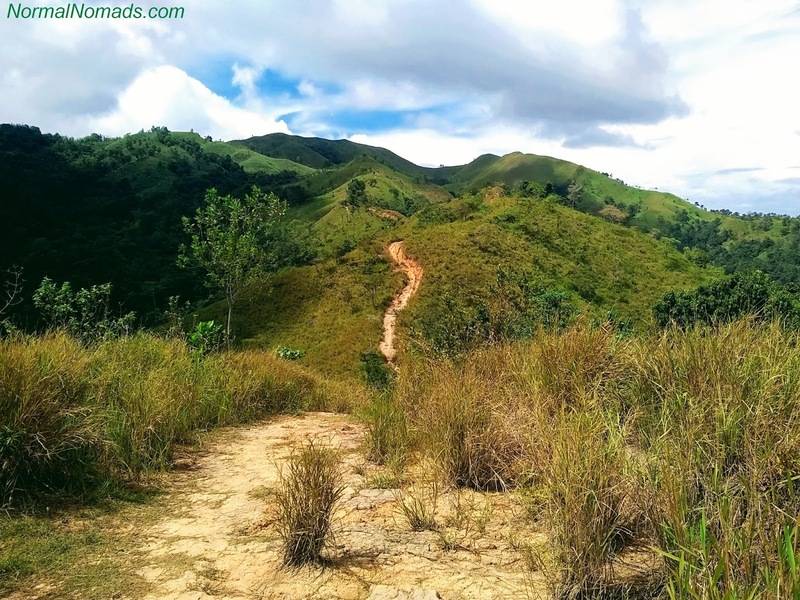 You can absolutely visit Malaysian Borneo on a budget! Visit Sabah state in Malaysian Borneo to see endangered wild animals, spend days snorkeling at the beach, hike in the dense jungle, learn about local cultures, support Borneo wildlife and nature conservation efforts, and meet wonderful local people. 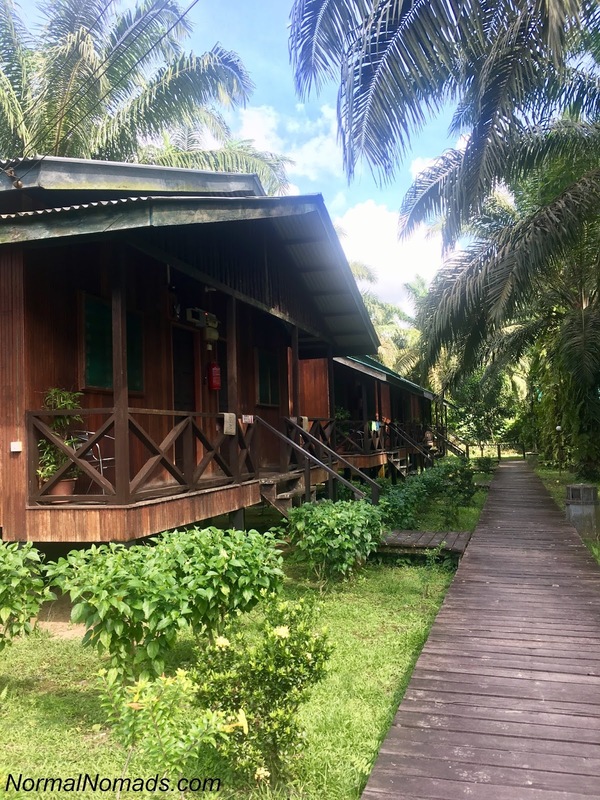 We checked everything off of our Borneo bucket list during our six weeks in Malaysian Borneo, and stayed within our $50 per day budget!